Jay L. Zagorsky does not work for, consult, own shares in or receive funding from any company or organization that would benefit from this article, and has disclosed no relevant affiliations beyond their academic appointment. The annual college basketball spectacle known as March Madness has arrived. Millions of people will tune in to the three-week tournament to see who’s the best team in the U.S. And millions more will wager a few bucks to take part in an office pool in which they try to pick the winner. Even presidents have been known to take part in the madness. But behind the hype is a lot of cash. Just as journalists are trained to follow the money, so are economists like me. So let’s take a closer look. March Madness is a single-elimination tournament in which athletes from 68 Division I teams compete in seven rounds. The tournament begins with a bracket draw, held on March 11, and then dwindles down to the Sweet Sixteen, the Elite Eight, the Final Four and the championship game in San Antonio on April 2. The nonprofit National Collegiate Athletic Association, or NCAA, formed the tournament in 1939, when just eight teams competed. While the phrase “March Madness” was first coined in Illinois in 1939 to describe its state high school basketball tournament, it wasn’t used for the collegiate gathering until 1982. Perhaps more interesting than the tournament itself is the organization that runs it. The NCAA generates a huge amount of money, taking in almost US$1 billion a year. The vast majority comes from March Madness and the television and marketing revenue it generates. Current NCAA President Mark Emmert earns over $1.9 million a year, more than every public college president and all but 11 private school leaders. His salary, however, is easily eclipsed by college coaches. Duke’s Mike Krzyzewski earns $8.98 million a year, and at least 49 others make more than Emmert. By comparison, the university professors who educate these student-athletes – the purpose of college after all – earn a fraction of the salaries of the coaches and Emmert. A full professor at a public doctoral institution earned an average of $126,000 in 2016. So what else does the NCAA do? The NCAA states that it helps more than 480,000 student-athletes “succeed on the playing field, in the classroom and throughout life.” As such, it touches the lives of more students than even the biggest university in the country, the University of Phoenix, which educates 195,000. As part of its mission, the association claims 87 percent of its student-athletes earn degrees within six years, up from 74 percent in 2002 and far better than the 60 percent rate among comparable full-time undergraduate students. For basketball players competing in March Madness, however, the percentage is quite a bit lower, with just 76 percent of the male athletes graduating in six years. The rate is higher for women basketball players, at 90 percent. One of the reasons for this is that student-athletes must be fairly bright to begin with, with a high school GPA of at least 2.3. And in college, they get an incredible amount of support, guidance and supervision that ensures they keep up with their courses and take exams while competing. While the NCAA declares it “financially assists student-athletes in need of educational materials, clothing and emergency travel expenses,” its 2014 tax form shows it provided only $21,049 total in “grants and other assistance to domestic individuals” and nothing in 2015. While the NCAA says virtually all the money it collects it sends back to schools and athletics conferences, including about $80 million it says goes directly to students through its Student Assistance Fund, it still keeps quite a bit in most years as profit, usually around $35 million. As a result, the NCAA has slightly more than $300 million in the bank. For comparison, this is larger than half of all university endowments in the U.S. Honestly, I’m not sure why an organization devoted to setting rules and hosting championship tournaments needs so much income. The NCAA used to claim its primary purpose was to “maintain intercollegiate athletics as an integral part of the educational program.” Today, in my view, the NCAA seems more focused on selling official gear in its championship store, offering live apps for continuous connectivity and prompting bracket mania for gamblers. 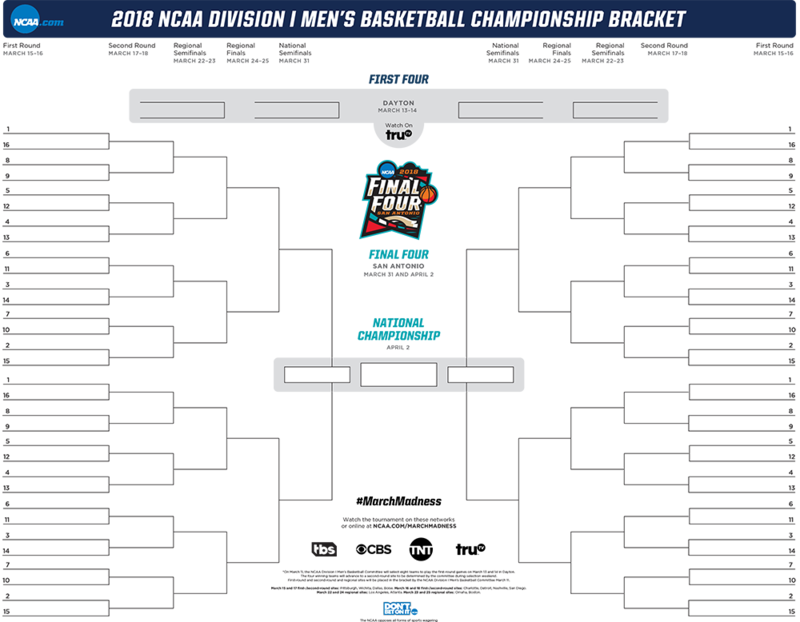 While I no longer fill in a bracket, I will be plopping down on my couch like millions of other Americans to follow the tournament – and in my case root on the student-athletes playing for the Ohio State Buckeyes. All the same, I believe March Madness has nothing to do with education and a great deal to do with marketing. And that’s fine, it’s just like the NFL playoffs or the MLB’s World Series. Except perversely, the organization that runs March Madness gets tax-exempt status. This article was updated to clarify ways in which the NCAA gives money to student-athletes.